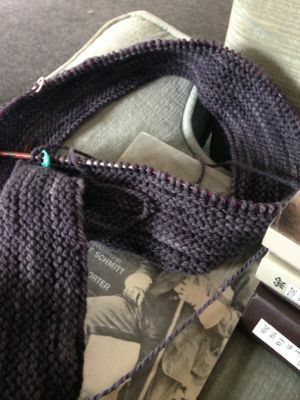 I have no idea what happened, but on Wednesday night, all of a sudden all I wanted to do was knit. 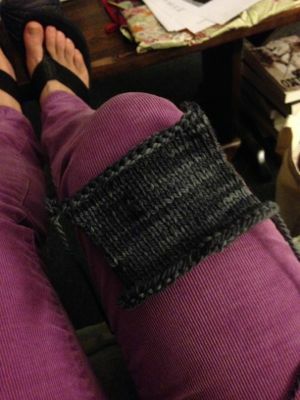 And so I started poking around Ravelry and my stash, and decided that Lila, a pullover with an interesting hemline, was what I needed to be knitting. Immediately. 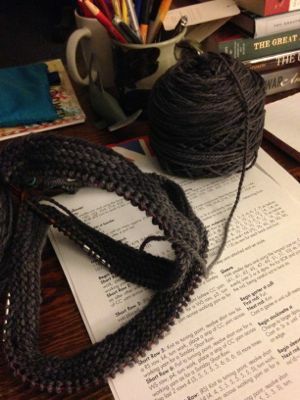 So I bought the pattern, dug out some special yarn (a bag of Schaefer Miss Priss worsted in a lovely variegated gray that I got for knitting a sample maybe five years ago), wound up two balls of it, and cast on. I’d gotten this far on the garter hem by the time I went to bed on Wednesday night. And finished the garter hem and began the short rows on Thursday morning. 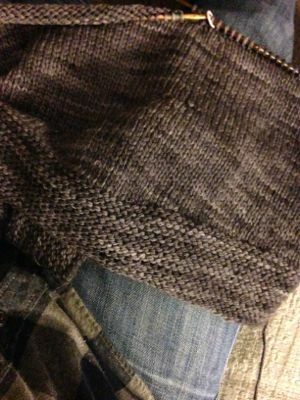 This entry was posted in knitting and tagged knitting, lila, pullover, schaefer miss priss by barefootrooster. Bookmark the permalink. This seems like the perfect thing to he knitting while writing a dissertation. Not too complicated, so it’s soothing, but with enough interest to keep it fun! That is a lot of progress for such a short time. Looks great. Love the pattern. I think it will look great on you too. Glad you got your knitting mojo back. Yay! I’ve been thinking of doing some swatching, too. In glad you’re getting some knitting time for yourself! Glad the knitting startitis and mojo have bitten you. :-) Yes, ones time is somewhat of a balancing act- stay on top of the wire! Glad you got your knitting mojo back! It has been the same for me, even after finishing my PhD my knitting was somehow just not inspiring enough… All the best for the dissertation!!!! Yay for knitting mojo! You never know when it’s going to strike. 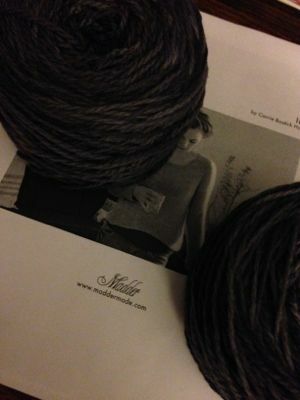 I can’t wait to see more of this one…that grey yarn is just gorgeous.